2018 looks set to be a record year for the Port of Antwerp for the sixth time in a row, with growth in all types of cargo and a recent wave of investments. This confirms the port's attraction and further establishes its position as a world-class player that is also home to the largest integrated chemical cluster in Europe. Crucially it also assures the continuity of the port's role as the main engine of the Belgian economy. In 2019 the Port Authority will keep to the same course, further building a sustainable future for the port. In pursuit of this goal it is concentrating heavily on structural solutions to challenges such as mobility, the energy transition, digitisation and innovation. In 2018 leading international players in the chemical industry including among others Borealis, INEOS, Nippon, Sea-Mol and Oiltanking/AGT brought a huge wave of investment to the port, amounting to more than 2 billion euros. 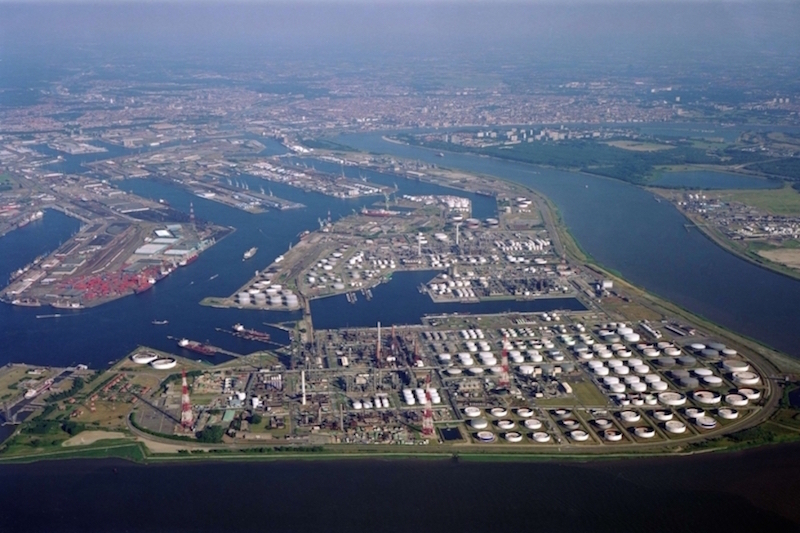 Their choice of Antwerp further confirms the port's attractiveness for chemical companies, as the largest integrated chemical cluster in Europe. Indeed it makes Antwerp even more attractive for them. Port Authority CEO Jacques Vandermeiren declared: "With these excellent growth figures and the recent surge of investment, in 2018 the port has once more confirmed its role as the main engine of the Belgian economy. Now we will continue on the same course as before, towards a sustainable port of the future. But to keep growing in a sustainable way, we together with the whole port community must strain every effort to meet the challenges facing us today. The port of the future must have enough capacity and be accessible, sustainable, smart and secure to remain attractive for investors." Port Authority CEO Jacques Vandermeiren outlined the situation: “We are already far beyond the optimum capacity limits in the terminals below the locks, with serious consequences for efficiency. We therefore continue to insist that additional container capacity below the locks is urgently needed. The Port of Antwerp is doing very well, which is good news for the economy. But it is also very important to keep up this impetus and to build the necessary capacity as soon as possible. The most recent draft version of the Preference Decree for creation of additional container capacity represents the last straight towards a breakthrough in this complex project. We are therefore very pleased with the efforts by the Flemish administration, and are glad to work constructively on further development of Alternative 9 which is now being considered. This alternative now has to be further tweaked in nautical and operational terms in order to make it sufficiently feasible and attractive for the economic operators while limiting the environmental impact to the absolute minimum." In another initiative the Port Authority has held workshops with other members of the port community for night-time logistics, to make better use of the existing facilities outside peak hours. The Night Logistics Action Plan was set up in October with all the parties involved. After a test phase in the first half of 2019 the aim is to begin operation by the summer, to coincide with the start of the Oosterweel roadworks. To remain accessible for the 60,000 employees in the port, the Port Authority is working on various initiatives aimed at encouraging people to leave their car at home and make use of sustainable alternatives. The Water Bus and Bike Bus are good examples of promoting a sustainable modal shift for commuter transport. ‘DeWaterbus’ plies on the Scheldt as an alternative means of transport for those travelling to Antwerp from Hemiksem and Kruibeke. 396,972 people have made use of the service since it was introduced on 1 July 2017. In October this year the southern route was extended with a northern section serving the port area. An eastern route to the Albert canal will enter service at the beginning of 2019. In summer next year a first electric Water Bus will be introduced, with the ambition of offering 100% electrically-powered transport on the Albert canal after six months of operation. This will be an absolute first. With 77,541 passengers since it started in April this year the ‘Fiets Bus’ has also been a success. To offer an alternative for even more commuters an interlinking system of commuter bus transport and collective electric bikes is planned for the port area next year. The transition to a circular low-carbon economy is another main objective of the Antwerp Port Authority. Over the next three years the Port Authority will therefore invest no less than 35 million euros in innovative sustainability projects. One good example of this is the declared ambition of making onshore power supplies available for seagoing ships at berth in the Deurganck dock in the near future, which will lower NO2 (nitrogen oxide) emissions by 36%. In addition we seek to promote alternative sustainable fuels such as LNG and hydrogen. This year the CMB shipping company won the Sustainability Award with the "Hydroville," the first hydrogen-powered passenger ferry. Given the very promising sustainability potential of hydrogen we are currently studying the feasibility of setting up a hydrogen fuel station in the port. Earlier this month a hydroturbine was installed in the Kallo lock to generate electricity from water power. The aim is to use this advanced technology to make all sea locks in the port energy-neutral in the longer term. In the words of Jacques Vandermeiren: "With the growing importance of data and the gains in efficiency that we seek to derive from it, in future the Port Authority will build further on the foundations that it has already laid with NxtPort. The increased participation in NxtPort by the Port Authority underlines this confidence. We strongly believe that digitisation will smooth the way for smart, efficient and lower-cost logistics, and that it will also play an increasingly important role in terms of mobility and monitoring emissions." As the year 2018 comes to an end so also does the career of Marc Van Peel. After 12 years as alderman for the port and chairman of Antwerp Port Authority, this veteran politician will take leave of Port House for the last time and begin his well deserved retirement. In his honour the new Wagen room on the ground floor has been renamed in his honour: henceforth it will be called "Event Hall in honour of Marc Van Peel, President of the Antwerp Port Authority from 2007 to 2018." At the same time we will welcome Annick De Ridder as the new port alderman at the beginning of the year. "I am confident that we can look forward to constructive collaboration," Jacques Vandermeiren concluded.